The State of California was delegated primary responsibility for implementing the Class II oil and gas underground injection control (UIC) program of the federal Safe Drinking Water Act (SDWA) in 1983. As a part of its oversight role, EPA audited the California Department of Conservation, Division of Oil, Gas and Geothermal Resources’ (DOGGR) Class II UIC primacy program in 2011 and identified substantial implementation deficiencies. In 2012, EPA conducted a review of aquifer exemptions that raised questions about the alignment of injection wells with EPA-approved exemption boundaries. In 2014, EPA increased its oversight efforts with the State, highlighting our concerns and requesting a specific plan and timeline for DOGGR to address the deficiencies in implementation of its Class II UIC program. These efforts culminated in the State’s March 2015 Corrective Action Plan, which included a schedule of required activities and deliverables, with target milestones, to track progress toward a compliance deadline of February 2017. Over the last 24 months, Region 9 has worked diligently with the CA DOGGR and the State Water Resources Control Board to ensure implementation of the Corrective Action Plan and full compliance of the state’s Class II UIC program with the Safe Drinking Water Act. To ensure the success of the proposed reforms, the State promulgated the compliance deadlines into their UIC regulations. The state also carefully reviewed its inventory of injection wells, completed a review of several thousand wells injecting into non-exempt aquifers, and shut-in about 60 injection wells between June 2014 and October 2015 due to their potential to impact high quality groundwater. The State’s efforts to evaluate aquifer exemption requests from oil and gas operators is ongoing. Overall, the State is working with operators on approximately 40 proposed exemptions. Aquifer exemption requests are initiated by operators, reviewed by the State and submitted for approval to EPA. EPA has thus far received four aquifer exemption proposals from the State. On January 17, 2017, the State submitted a letter to EPA on its Class II UIC program compliance efforts, including their significant effort focused on aquifer exemption proposals. The State’s letter provided the status of their progress to date and their plan for continuing aquifer exemption work beyond February 2017. 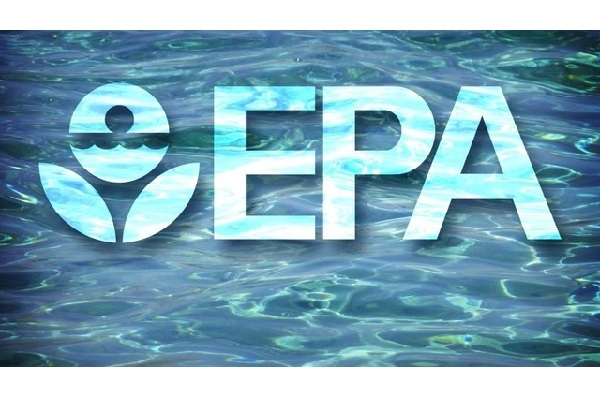 EPA responded to the State’s update with a letter on January 25, 2017 generally concurring with the State’s proposed plans for ongoing work and requesting additional clarifying information on their activities. EPA will maintain its enhanced oversight of California’s Class II UIC program and continue working with the State to address the ongoing UIC efforts, including the consideration of aquifer exemption proposals submitted by the State. An aquifer exemption is an action by EPA to remove an aquifer or a portion of an aquifer from protection as an underground source of drinking water (USDW) under the Safe Drinking Water Act. Federal Underground Injection Control (UIC) regulations allow EPA to exempt aquifers that do not currently serve as a source of drinking water and will not serve as a source of drinking water in the future, based on specific criteria. Aquifer exemptions allow these underground sources of water to be used by energy and mining companies for oil or mineral extraction or disposal purposes in compliance with EPA’s UIC requirements. Underground sources of drinking water surrounding the exempted area continue to be protected by the Safe Drinking Water Act. What is an Underground Source of Drinking Water? An underground source of drinking water is defined in federal regulations as an aquifer that supplies a public water system, or contains a sufficient quantity of groundwater to supply a public water system, and currently supplies drinking water for human consumption or contains fewer than 10,000 mg/L total dissolved solids. What criteria does EPA use to evaluate Aquifer Exemptions? EPA is responsible for the final review and approval of all aquifer exemption requests, based on the regulatory criteria in 40 CFR 146.4. UIC permit applicants that seek an aquifer exemption in order to conduct injection activities typically delineate the proposed exempted area and submit a package, including supporting data, to the primacy agency. States with primacy, like California, review the application and, if the information submitted supports a determination that the proposed exemption meets federal regulatory criteria, propose to exempt the aquifer, provide for public participation, and submit a request for approval of the exemption to EPA. EPA must follow the regulatory criteria of 40 CFR 146.4 in making aquifer exemption determinations. For EPA to approve an aquifer exemption, the Agency must first find that the state, or where EPA directly implements the UIC program, the applicant, has demonstrated that the aquifer or the portion of an aquifer sought for exemption does not currently serve as a source of drinking water. The second exemption criterion requires EPA to determine either that the aquifer cannot now, and will not in the future, serve as a source of drinking water, or that the total dissolved solids content of the ground water is more than 3,000 and less than 10,000 mg/l and is not reasonably expected to supply a public water system. The regulations at 146.4(b) describe four potential reasons for making the determination that the aquifer cannot now and will not in the future serve as a source of drinking water. One reason is that the aquifer is mineral, hydrocarbon, or geothermal energy producing, or can be demonstrated as part of a permit application to contain minerals or hydrocarbons that are expected to be commercially producible. The other reasons relate to the practicality and cost of accessing and treating the water for human consumption. What is being done to determine the safety of ground water in the areas the State is reviewing? What is the importance of TDS levels in water? Salinity is a measure of the amount of dissolved particles and ions in water. A common measure of salinity is the level of total dissolved solids (TDS). TDS is generally expressed in units of mg/l (milligrams per liter) or ppm (parts per million). In expressions of TDS levels, milligrams per liter (mg/l) and parts per million (ppm) are equivalent units. Salinity levels can result from hundreds of different ions, but a few make up most of the dissolved material in water: chloride and sodium, followed by calcium, nitrate, magnesium, bicarbonate and sulfate.